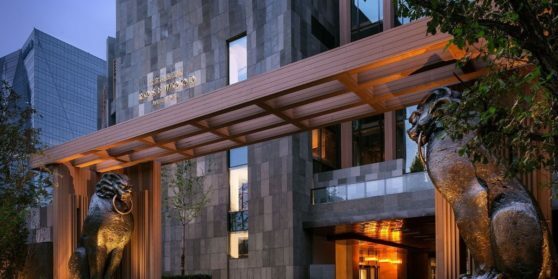 Rosewood Beijing’s structural form and abundance of landscaped outdoor space, the curated artwork, the choice of refreshing or stimulating retreats within the hotel, and culinary experiences designed to enchant with authenticity and style — all combine to create a landscape of surprising discoveries, sensory engagement and authentic experiences. Ancient Chinese artistic legacies and cultural beliefs are reinterpreted in novel ways, resulting in stunning artworks that enrich the public and private spaces. The collection also serves as a doorway to China’s distant past, peeling back the layers of the present to reach the core of Chinese culture – its old customs, ancient rites and enduring art forms.